Security Lock, Guitar Strap/Attachment from Schaller. Did you try any of other models before buying this one? Which feature do you like the most / the least? # How would you rate its value for money? 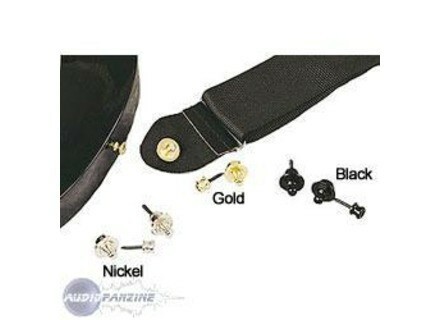 It was very easy to install: I just had to unscrew the original pins of my Les Paul, screw the security locks, attach the other piece to the strap and that's it. Originally written by Yu-man on Audiofanzine FR. jerem's's review (This content has been automatically translated from French)" Simply the best system." I use these straplocks for over 10 years now on my Big Apple Strat Ash weighs 4kg all round. I've never been in default since that time. I also use it on my other guitar, a 1960 LP Special YOUR which weighs less (3.5 kg of memory). It is extremely reliable and robust, if he is obviously well placed! Compared to the system directly competitive than Dunlop, I find it much better. 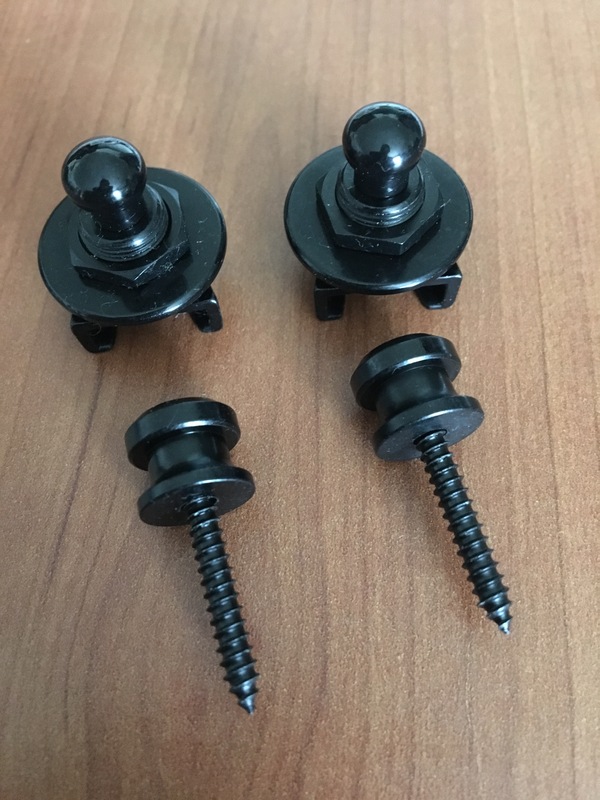 Question installation, never worry, even on my LP or CS yet there are often concerns the history of screw length and / or diameter not suitable ... At the same time, whenever I took advantage of a visit to the luthier for adjustment for him to do ... It helps! Taf ... what's everyone! Basically, I do it again the same choice without hesitation, and whenever a new guitar will arrive home (although this is not often, but that's another debate! 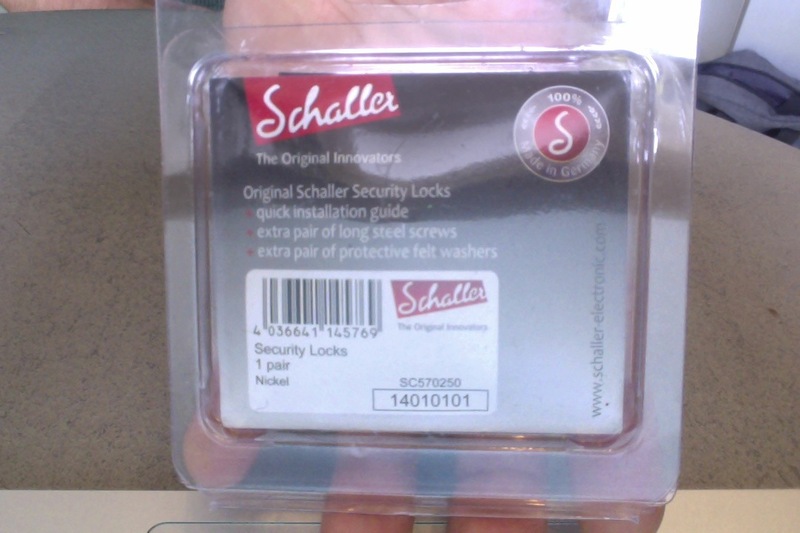 ), It will Schaller straplocks its . Required! Maintenance issue, a simple cleaning of the friction in between the clip and the strap attaches to the guitar, with a small annual lubrication to prevent it whines and rolls! Sphinx's review (This content has been automatically translated from French)" Purchase a very relevant!" 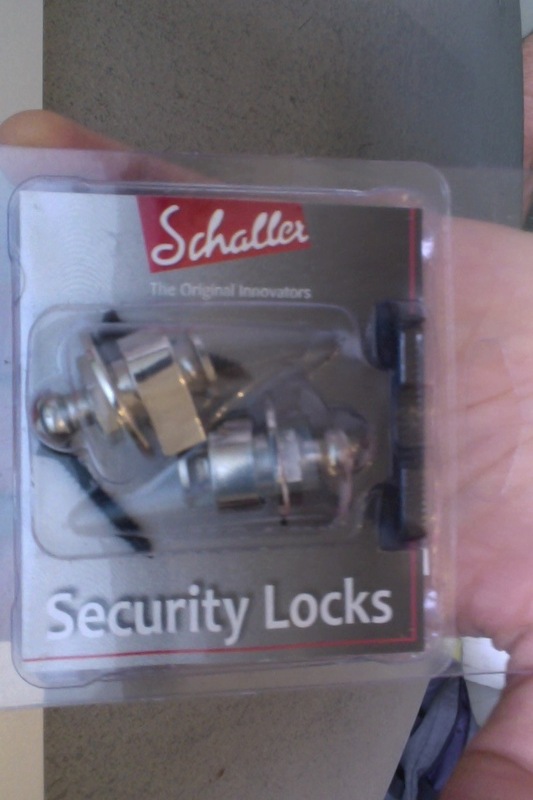 I use two security locks branded Schaller for over a year. I have not tried other brands / models. I have one in your "Black" in 1446, and in a "Ruthenium" 449 (more expensive: € 21.80). They have an excellent finish, their use is convenient, and highly reliable. It should however be a bit of practice to always succeed the first time the maneuver, to hook or unhook the strap. Then, in my case, the screws were smaller than the original screws in my bass and my guitar (Ibanez both). Therefore, I did not want to use them in the holes in the wood, too big for them! So I had to enlarge the hole of straplocks themselves so that they accept the screws holding Ibanez. This was done quickly and without any difficulty, with a drill, a vise and a drill metal. I think, without much complication or embarrassment perspective reliability of the method, a dual-format screw could have been expected! But hey, if it is just a little handyman, it will not pose a problem to enlarge the holes in the straplocks. I really appreciate the combination of security of attachment straps with the ease with which you can remove them and put them back, all this without using leather straps and eyelets! There are certainly cheaper, but I really wanted in this case a total system reliability. Moreover, the tone Ruthenium does not exist elsewhere than in Schaller, I think, and he was absolutely necessary for my bass, which is colored accatillage "cosmo black", so very close to "Ruthenium". So taking the obligatory "Ruthenium" in Schaller, I decided to take the "Black" with them also. Note: compared to a previous opinion, I prefer, I drill into my straplocks roros to 20, in my instruments to several hundred roros! 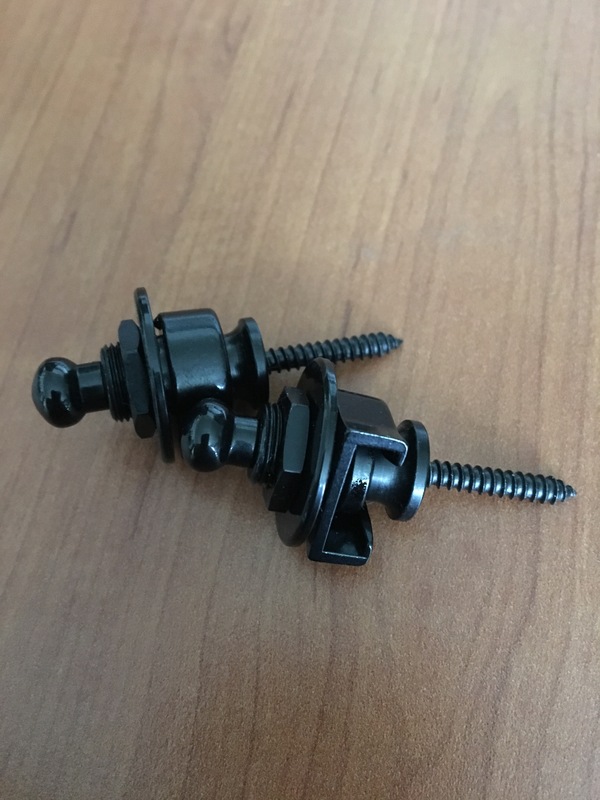 I really think that the solution of the enlargement of the holes in the straplocks is easier to implement technically, the safest practice, and less financially risky! The enlargement of the hole is not, in principle, of a magnitude that would jeopardize the strength of the parts themselves. Ogrim's review (This content has been automatically translated from French)" We can not do without!" I always put all my Straplocks on bass and guitar. 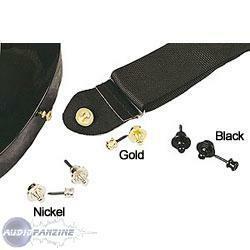 More problem belts that detach during a concert. Installation is easy, reasonable price. The only hot spot can be to replace the fasteners screwed into the wood for this strap.faire attention by, for example a wood glue. = -1 Belts several guitars, easy change. it's simple, I do not see more play!